We know that even as Ballista is truly doomed here at the end of book 2, Sidebottom has more books for Ballista so the hero must rise again. They were certainly all individual, but by the end I was mixing a few of them up in my head and was getting annoyed by that slave-scribe. The rest of the cast? I do hope that just desserts are in store for his adversaries in future books. Każda religia, która nakazuje wyznawcom kochać odległego, zapewne wymyślonego boga bardziej od tych, których powinni kochać, rodziny, przyjaciół, a przede wszystkim dzieci, jest okrutna i nieludzka. They're full of information on the late third century Roman Empire including the various terminology, but sadly at the expense of any depth to the characterisation or immersiveness Yes, auto-correct I know that's not a real word. I have no idea how true this is to history but they couldn't have always been like that to get there in the first place! I was understandably eager to pick up Ballista's adventures in this, the second novel, but I was in for a major disappointment. Sidebottom resists the modern temptation to be dismissive and cynical about historical Christianity, while also not shying away from the fact that these were utterly uncompromising people who could be very difficult to deal with. The cover may have some limited signs of wear but the pages are clean, intact and the spine remains undamaged. They're full of information on the late third century Roman Empire including the various terminology, but sadly at the expense of any depth to the characterisation or immersiveness Yes, auto-correct I know that's not a real word. Money back guarantee if you are not satisfied. It just slows the book down way too much and makes it a slog to read. They know his reign is likely to be short and are all trying to put themselves in a position to claim the purple. Unfortunately, all is not well for the series either. This book has clearly been well maintained and looked after thus far. Meanwhile, the elderly emperor Valerian is increasingly reliant on his advisors, but none of them are exactly impartial. There is some attempt at character development, but Balli Marginally less gory than the first book in the series, and probably better because of it. Without a siege-style storyline to focus the action, Sidebottom's narrative is laborious and episodic. All the while, Sassanid forces press forward relentlessly along the eastern frontier. At times I wanted Balista to just reach out and choke a few of them. In this particular book its back to slavery. He is hated by several people. It is just going through the motions to tell inconsequential material that could be glossed over in two chapters instead of an entire book. It's not all bad material, but it's not very focused nor does it offer a clear direction for the plot to flow. The manipulations and backroom dealing at the center of the Roman state does not make for interesting reading because Ballista can have no part in it. 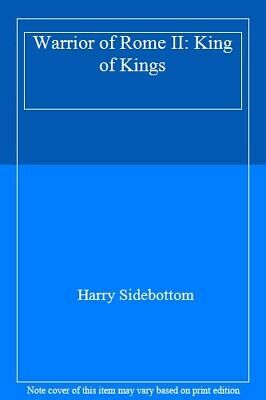 King of Kings is a second in a series, but I received a review copy of it from the publisher and chose to read it as a stand-alone rather than hunting for volume 1. The man's an Ancient Historian so he naturally wants to explore all those areas where he's constrained by having to stick only to the facts. Rich in historical detail and interesting characters like its predecessor and likewise well-written, but one is left with the impression the main character is a little too much at sea in the politics and machinations surrounding him. While not much is known about him, seeing that he has a real chronology it does somewhat limit what can be done with him. It immensely refreshing to read the story of a historical character who doesn't look at the era in which he is living through the eyes of a modern reader. Though still incredibly well written, this book does tend to sag in the middle as Ballista is sent off on what at first glance seems an unnecessary mission to persecute Christians following a quick battle with the Sassanids. Characters more developed, and the tour around the time and place was even better than the last book, which was already pretty good. But why do we want the same, surely we want something different, something new. The novel ended in a cliffhanger, but I want to follow Ballista and company in further episodes. Not a happy situation for him or his familia given that he is a warrior and a battle hardened commander. The fact that our main character is Germanic rather than Roman means that he can look on issues such as religion with a more detached viewpoint. The story line is good and the history appears to be, but it is not my most familiar area -- the time of the Sassanid Persian King Shapour and Roman Emperor Valer King of Kings is a second in a series, but I received a review copy of it from the publisher and chose to read it as a stand-alone rather than hunting for volume 1. Yet, combined, they are enough to stop this plot from achieving anything greater that three stars. 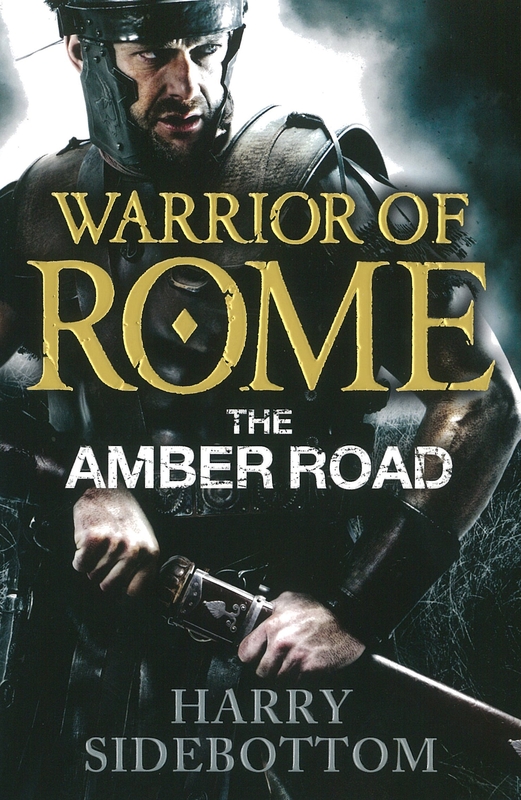 I have enjoyed reading and seeing ancient historical material for many years - the Warrior of Rome series adds thrills and a sense of immersion in the lives and times. Generally the book wasn't as good as its predecessor, and yes, it was slower and ever so slightly heavier. It deals with our Hero, Ballista and the last 4 years of the reign of Valerian. . So again Sidebottom disappoint, though there is hope. Ballista remains a decent hero and his companions are entertaining. When reading some reviews for this book, some people complained that it felt too factual - sacrificing enjoyment and pace for little tid-bits of historical data. 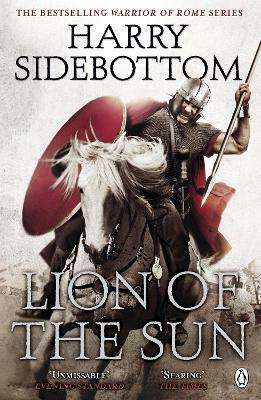 Praise for Harry Sidebottom: 'Sidebottom's prose blazes with searing scholarship' The Times 'The best sort of red-blooded historical fiction' Andrew Taylor, author of The American Boy Dr. We are thrown straight into a desperate dash across the desert to reach Antioch and tell the Eastern Emperor how Arete had fallen to the Sassanids. 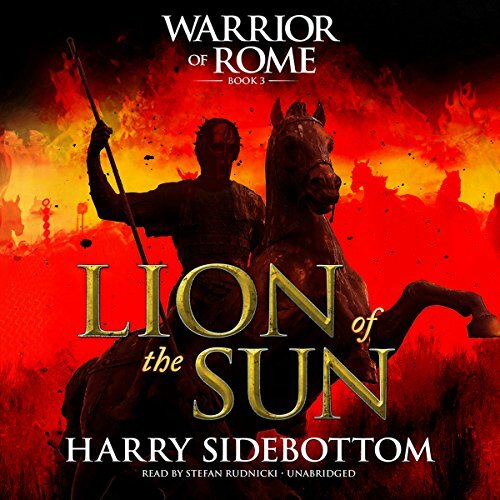 Dr Harry Sidebottom is a leading authority on ancient warfare - he applies his knowledge with a spectacular flair for sheer explosive action and knuckle-whitening drama.